Lafayette fire crews are still searching for answers after local apartment complex, Maison Lafitte caught on fire Monday. 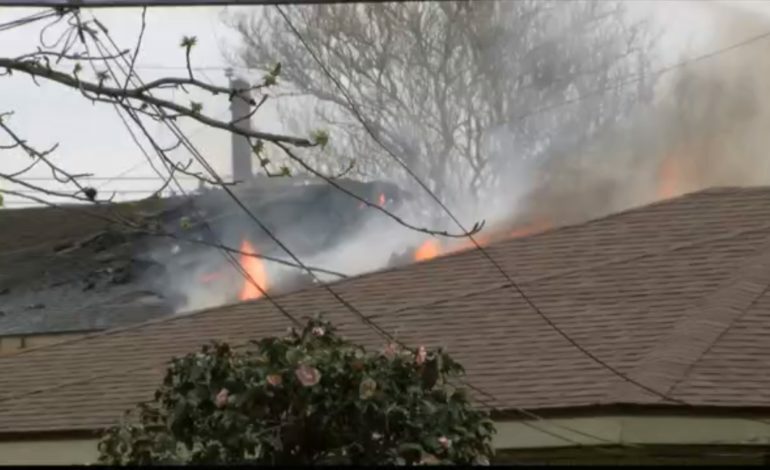 Lafayette Fire Department tells News 15 the call came in around 10:45 Monday morning. At one point they had more than 70 firefighters on scene. Two firefighters were injured while fighting the fire and transported to the hospital and were released. The day before Mardi Gras usually kicks off festive, but this year, it started off a little different for people living off of South College near West Bayou Parkway. The fire department is still assessing the number of people affected by the fire, but regardless of the number, those residents are left with a harsh reality. Between the fire, smoke and water damage, some lost everything while others are hoping to recover what little bit is left. Fire crews are still looking for a cause. As for the residents, they’re just trying to put the pieces of what was once their home, back together again. Fire investigators were able to determine the fire originated in one of the upstairs apartment’s closet near the HVAC unit and electrical panel box. News 15 will update you with the latest on air and on our website.